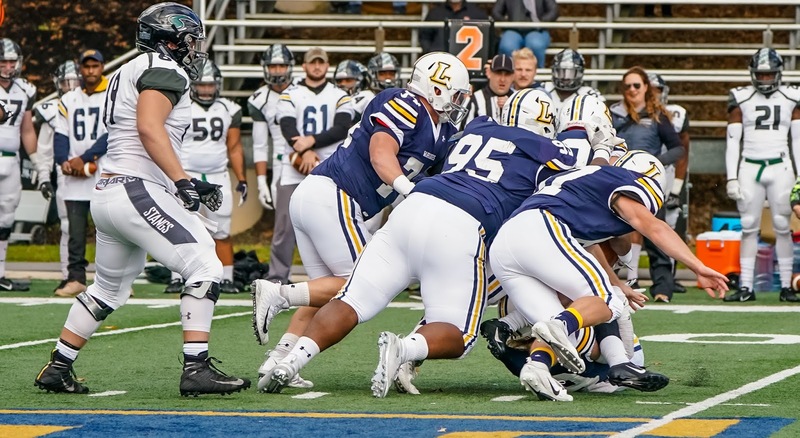 WILLIAMSPORT, Pa. – After earning a spot in the Centennial-MAC Bowl Series, the Lycoming College football team earned another round of accolades from the Middle Atlantic Conference on Tuesday, Nov. 13, as seven Warriors earned All-MAC honors, including five first-team selections. Senior wide receiver Nick Costello (Havertown, Pa./Haverford), senior offensive lineman Brad Stubbs (Grampian, Pa./Clearfield Area), junior kicker Jamie Fisher (Folsom, Pa./Ridley), senior defensive lineman Ahmad Curtis (Effort, Pa./Pleasant Valley) and senior safety Joe Pinzka (Perkasie, Pa./Lansdale Catholic) were the first-team selections, the school’s most since the 2011 team also had five first-team picks. Senior defensive lineman Sam Romanofsky (Havertown, Pa./Haveford) and senior special teams player Mike Mulvihill (Tabernacle, N.J./Seneca) were second-team picks. Costello has developed into one of the best receivers in program history, culminating in the first-team all-conference nod. He is sixth in the league with eight receiving touchdowns this year and an average of 75.1 yards per game and seventh with 4.5 receptions per game. His 16.7 yards per reception average is third in the league. Costello is fifth in school history with 144 career receptions and fourth with 2,315 yards and 23 touchdowns. He is the school’s first First Team All-MAC receiver since Ryan Umpleby in 2015. 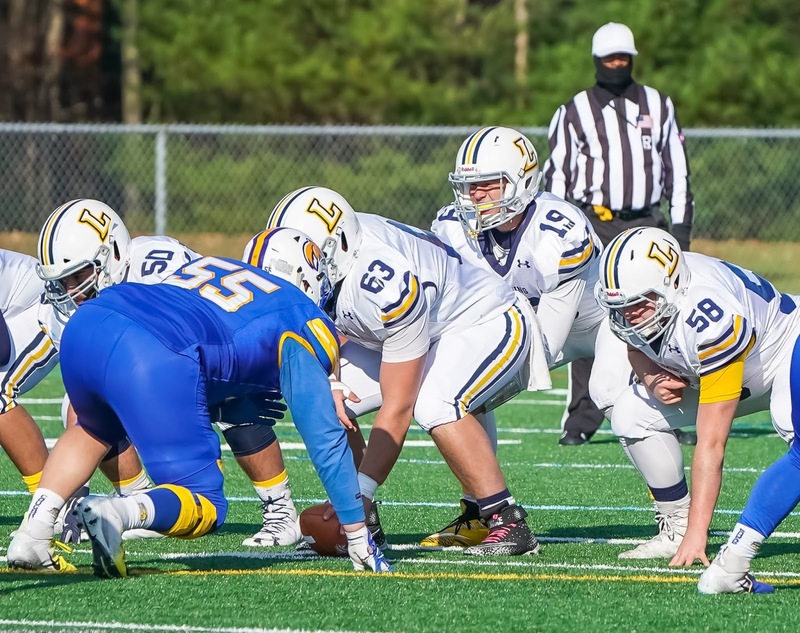 Stubbs repeats as first-team all-conference, as the team captain started all 10 games at center. Stubbs helped pace a line that helped the Warriors average 295.2 yards per game, including 197.3 through the air. Fisher earns his second mention on the all-conference team, moving from honorable mention accolades as a sophomore to first-team honors as a junior. 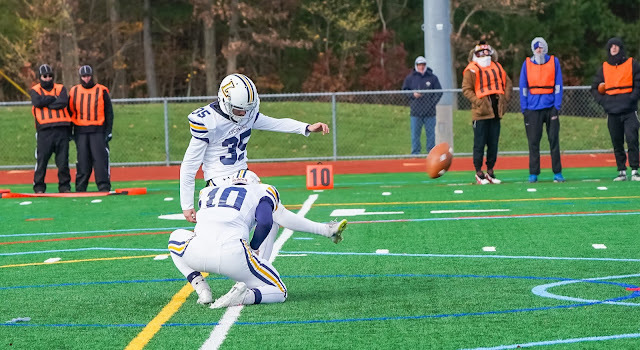 Fisher became the first kicker in school history to post 10 field goals in back-to-back years, as he has hit 10-of-15 this season, including a school-record four against Widener. 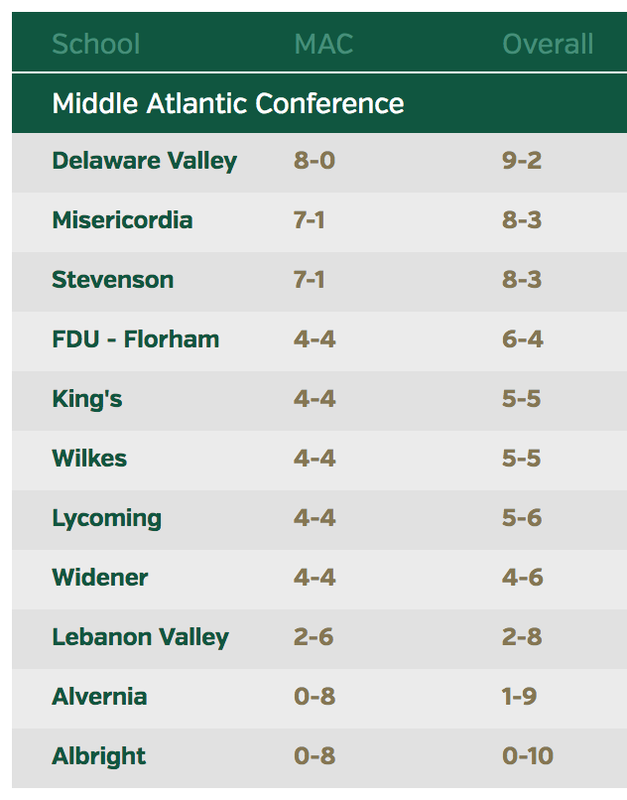 Fisher is 17th in Division III in field goals and he has hit 25-of-27 extra-point opportunities this year. He also has 16 touchbacks on 47 kickoffs. Fisher is the school’s First Team All-MAC kicker since Zack Czap in 2011. Curtis also earns his second all-conference accolades, jumping to first team after earning honorable mention accolades in 2017. A disruptive force at defensive tackle, Curtis posted 46 tackles, six tackles for loss, two sacks, a fumble recovery and a blocked kick during the season. Curtis notched at least three tackles in all 10 games and at least five in five. He is the first first-team defensive lineman since Cole Welham in 2014. 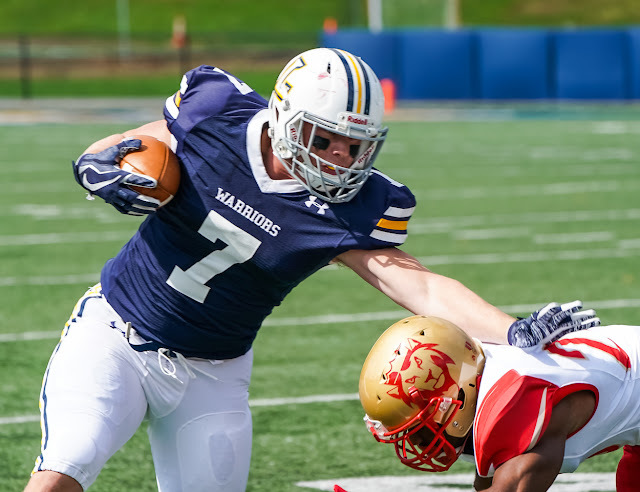 Pinzka picks up his first all-conference accolades after leading the Warrior defense as a team captain, posting a team-high 53 tackles in nine games, while finishing second in the league with four interceptions. He also added three breakups, 0.5 tackle for loss and forced a fumble. 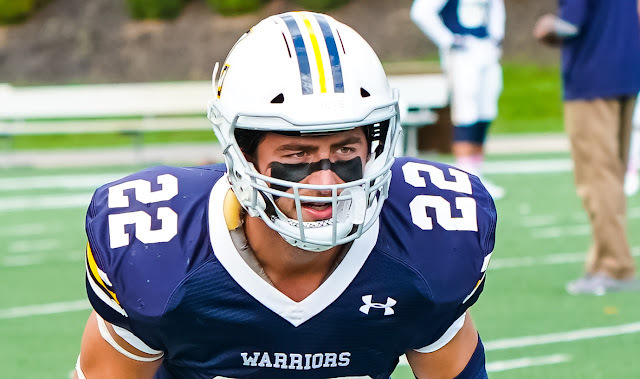 Pinzka is the first first-team defensive back for the Warriors since Tanner Troutman in 2013. Romanofsky earned his first career All-MAC accolades, as the team captain continued to be one of the MAC’s top pass rushers. He posted 33 tackles, 12.5 of which were for loss – fifth in the league, and he notched 5.5 sacks, which is seventh in the league. Romanofsky also forced two fumbles, recovered one, broke up three passes and blocked a kick. 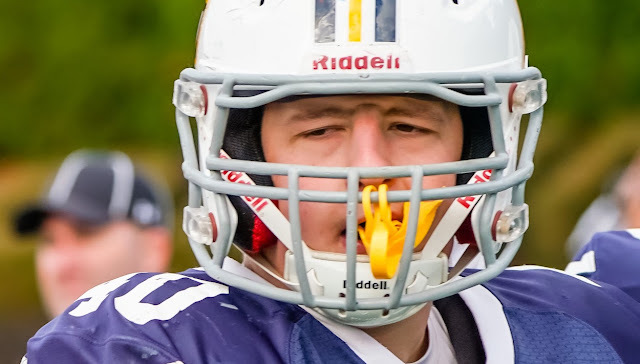 Mulvihill earns the league’s second-team special teams award after a season in which he was a key member of the Warriors’ punt coverage and kick return teams. Mulvihill has served as the punt team’s long snapper for three years, posting one tackle on punt returns this year. Due to injury, he also stepped in to become the team’s short snapper for the kicking game as well. He is also the right end on kick returns, serving as a blocker, but also returning one squib kick for 11 yards. 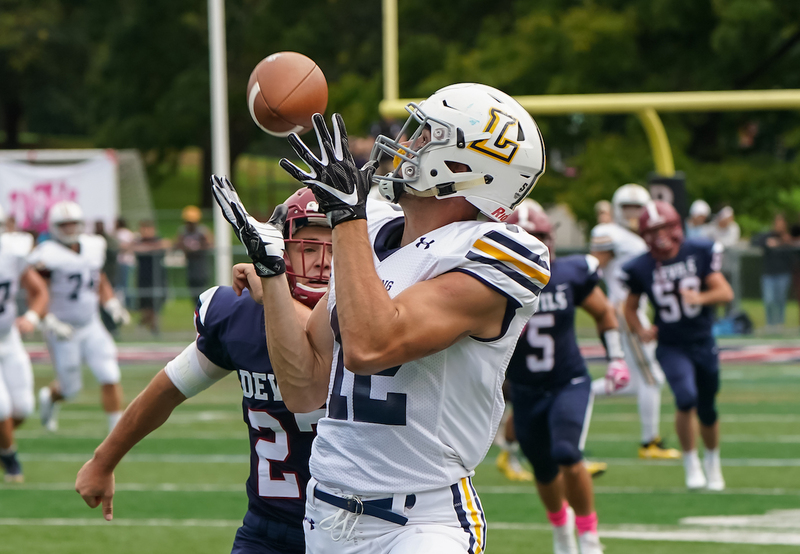 He is the first special teams selection from Lycoming since Jarrin Campman earned honorable mention honors in 2012. The Warriors get back on the field on Saturday, Nov. 17, when they head to Franklin & Marshall for the Centennial-MAC Bowl Series, with kickoff set for 12 p.m.